One of the most significant developments over the past few years in the investment trust sector has been the large increase in the number and value of sector-specific Real Estate Investment Trusts (REITs). These are closed-ended funds that invest in physical property assets, funded by equity (cash raised from investors like ourselves in Initial Public Offerings (IPOs)) and debt (typically provided by banks or insurance companies) and are required to pay out almost all of their profits as income. Those familiar with our Funds will know we shun open-ended property funds in favour of these vehicles, which offer a far more appropriate way to access this relatively illiquid asset class. The spate of REIT issuance has been particularly marked since summer 2016 when yields on fixed income assets were at their nadir. In June 2016 there were 15 REITs invested in £8.4bn of UK property (Source: AIC Website). With the prevailing 10 year UK government bond yielding less than 1% that summer, and investment grade corporate bonds yielding on average just 1-1.5% more, investors turned to property to provide income. Fast forward to February 2018 and there are now 23 REITs investing in £12.4bn of UK property assets (Source: AIC Website). Over this period, Vanbrugh’s UK property exposure has risen from 5.5% to 8.9% and Distribution’s from 6.4% to 14.9%. We will focus on two specific areas: warehouses and social housing to illustrate why we think a great many interesting opportunities have arisen and why we do not think that the growth in the sector is purely a cynical reaction to the demand for income-yielding assets. We own two REITs that specialise in logistics. Warehouse REIT and Pacific Industrial & Logistics REIT own small to medium-sized warehouses let to good quality corporate clients. These warehouses are business-critical assets and may be used as storage centres, distribution hubs, or even as key parts of a manufacturing process, or indeed all three. Signing more lucrative long-term leases with the tenants. The supply of distribution warehouses is more than a third lower than the peak post-recession in 2009 (Source: Pacific Industrial & Logistics REIT). Land availability is very constrained: developers prefer higher value-added residential land and councils are reluctant to re-zone land for industrial use. Demand has been driven by the cyclical boost from economic growth but more importantly by the structural demand from online retail: for every £1bn of new online retail sales an additional 1.125 million sq ft of new distribution space is required (Source: Pacific Industrial & Logistics REIT and JPMorgan June 2007). At the current pace of growth, this translates to an average of c. 4.5 million sq ft p.a of incremental demand. The potential returns available on these REITs are attractive. Yields are over 6% and we expect capital appreciation driven by rental growth of at least 5% – implying double digit returns annually. Neither of the trusts we are invested in currently is highly geared compared with many property investment vehicles. We think these kinds of returns relative to the risks involved are extremely attractive. Most large commercial property funds managed by the major investment houses are predominantly exposed to the two largest subsectors: offices and retail. It is much harder for these behemoths to invest meaningful weights in the industrial sector due to the number of much lower value transactions that are necessary: a warehouse costs a fraction of an office block. However, this subsector’s performance has far outpaced traditional office and retail – meaning the larger managers are striving to increase weightings to avoid underperforming their multi-sector benchmarks. This creates an excellent further technical tailwind for the subsector. We are particularly drawn to smaller specialist REITs, rather than general commercial property REITs. As investors we can focus on niche areas within the broad property asset classes that are most likely to perform best. We do not have to purchase the larger trusts that are invested in traditional retail and office (and thus offer inferior return prospects) and because our own Funds are not huge themselves, we can make smaller specialist REITs meaningful weightings. Another example of a specialist area we can access via smaller specialist REITs is social housing (residential accommodation for people who require specialist assistance). This is an example of one of those happy times that private capital can do real social good. There is an extreme shortage of social housing in this country and the government realises that private capital is required to develop the infrastructure needed to house these vulnerable individuals. We have supported one such REIT, Civitas Social Housing, which is managed by individuals with long experience in the sector, and who have the needs of the tenants at the forefront of their minds. Tenants are housed in quality residences that are very much part of the local community – very different from the forbidding and unwelcoming institutions one might imagine for social care. The rental yields are attractive (c. 5%) and provide full inflation linkage guaranteed indirectly by the government via local authority funding. It is worth comparing these sorts of investments to the liquid mainstream fixed income universe. To generate anything like the level of yield available from specialist REITs would require an investment in bonds with extremely low credit ratings – or to put it another way, it would require lending money to some fundamentally weak companies. With these specialist REITs, the managers lease the properties to good quality tenants. In a worst case scenario where the tenant defaults, the managers are confident that they can re-lease the properties to new tenants very quickly. To conclude, an investment in either our Vanbrugh or Distribution Funds gives you access to a very wide range of assets. Even within our property weightings, we give our investors access to very specific subsectors rather than the generic commercial office and retail exposure that you might usually expect from property funds. 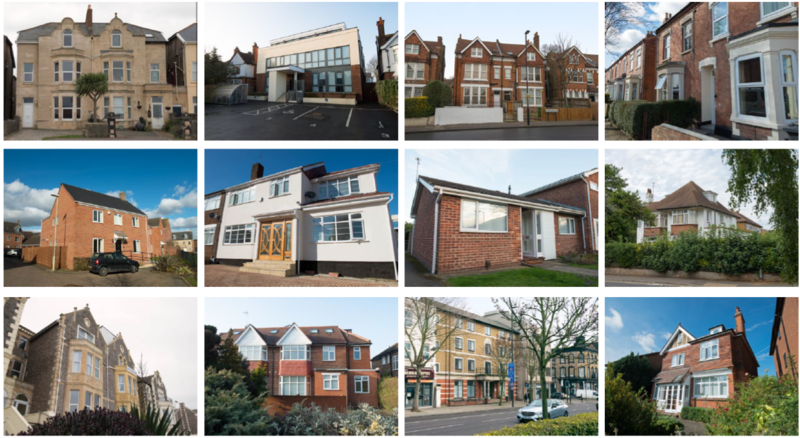 While our UK property weightings have risen substantially over the last 18 months (a period that has coincided with tremendous growth in the investment trust property sector), we believe that the trusts we own offer our investors targeted exposure to those areas of the property market which have the best risk / return profiles, and are managed by experts in their fields. This financial promotion is issued by Hawksmoor Fund Managers which is a trading name of Hawksmoor Investment Management (“Hawksmoor”). Hawksmoor is authorised and regulated by the Financial Conduct Authority. Hawksmoor’s registered office is 2nd Floor Stratus House, Emperor Way, Exeter Business Park, Exeter, Devon EX1 3QS. Company Number: 6307442. This document does not constitute an offer or invitation to any person, nor should its content be interpreted as investment or tax advice for which you should consult your financial adviser and/or accountant. The information and opinions it contains have been compiled or arrived at from sources believed to be reliable at the time and are given in good faith, but no representation is made as to their accuracy, completeness or correctness. Any opinion expressed in this document, whether in general or both on the performance of individual securities and in a wider economic context, represents the views of Hawksmoor at the time of preparation. They are subject to change. Past performance is not a guide to future performance. The value of an investment and any income from it can fall as well as rise as a result of market and currency fluctuations. You may not get back the amount you originally invested. HA2362.